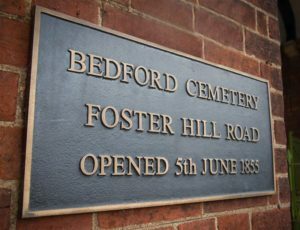 The aim of the Friends of Bedford Cemetery is to promote and preserve the history, landscape and natural history of the cemetery. We aim to help the public appreciate the importance of the cemetery and to understand its history and amenities. 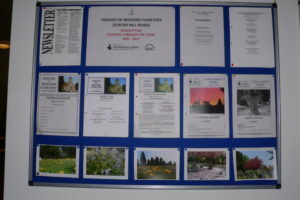 The annual membership to join the Friends is just £10 and this contribution enables us to continue to conserve and enhance the natural and social history contained within the chapel complex and cemetery. As a Friend you will receive regular newsletters, monthly bulletins and reduced entrance fees to events. 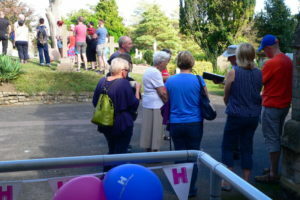 There is a working group of volunteers every Thursday morning and the Friends also arrange a programme of walks and talks on a wide range of subjects. 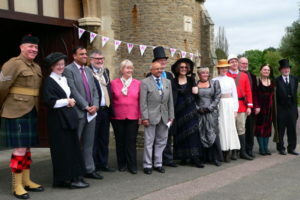 In the last few years the Friends have been awarded several grants from the Whitbread Organisation, other local charities and the Heritage Lottery Fund, which have helped to refurbish the English Heritage Grade 2 Listed Victorian Cemetery and chapel. Last admittance to the grounds is 15 minutes before closing time. No vehicles will be allowed to remain after closing time. Failure to leave the grounds on time will result in the vehicle being locked in overnight and access not permitted until the following morning. 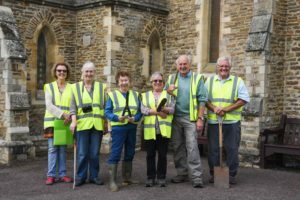 The chapel is open every Thursday 9:30am until 1:00pm for the working party. 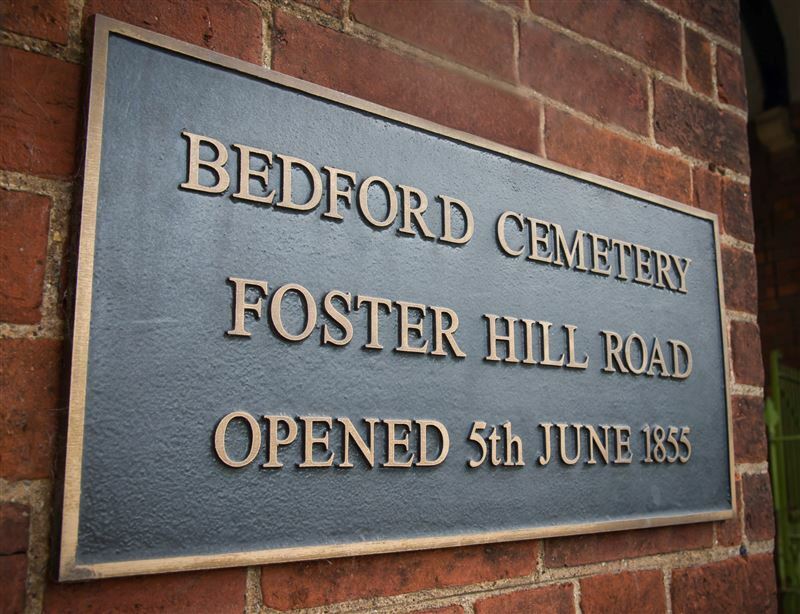 Our address is Foster Hill Road Cemetery, Foster Hill Road, Bedford, MK41 7TD. Click here to view ‘How to Find Us’. Bedford Mainline Station. There is a ten minute walk from Bedford’s railway station to the bus station and town centre. From there you can either walk to the Cemetery (approximately 20 minutes) or take a bus from the bus station,(see below). No. 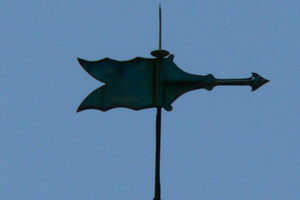 10 (Goldington) stops at Robinson Pool Swimming Pool (Park Avenue), then a six minute walk along Foster Hill Road to the entrance of the cemetery. 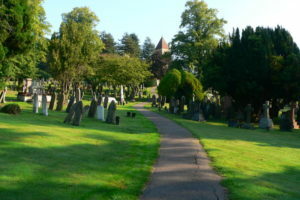 You can drive through the cemetery and there are several laybys where cars can be parked. 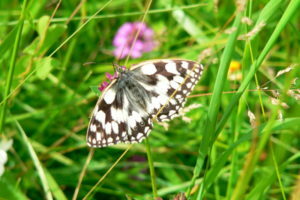 There is plenty of parking around the chapel area. Please click here to access routefinder. Bicycles are allowed within the cemetery. Please be aware that the email system is run by volunteers and you may not get a reply immediately. We will respond to you enquiry as soon as possible. You should know… The cemetery can get muddy underfoot, so wear sensible shoes. When viewing memorials, please do not lean on them. Although memorials can appear stable, when pressure is applied, the stability can fail which could result in injury to yourself or another person. 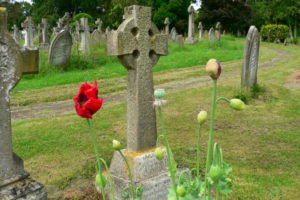 Bedford Borough Council carry out annual memorial inspections throughout the cemetery. Photography: Photography is allowed within the cemetery however, permission of the grave owner should always be sought if placing photographs on social media sites. Animals: Dogs are permitted within the cemetery as long as they are kept on a lead and any mess is cleared up. Dogs must be kept under control and not cause a nuisance to any visitors to the cemetery.